Chances are, you know someone who recently got engaged. Holidays are prime time for engagement season. Personally, I have three or four friends who have gotten engaged in the past couple months and with Valentine’s Day coming up, that number may increase. I haven’t talked about our wedding in awhile, but one thing I’m very proud of is that we were able to have the wedding of our dreams within our budget restrictions. It’s definitely not easy to do that, especially in the DC area (or any major city), so I thought I’d share a few tips on how we were able to have a dream wedding on a budget. Hopefully this will help you or someone you know – as always, I’m happy to answer questions! Think outside your wedding city for professionals. We got married in Frederick, MD and our photographer lives in western Pennsylvania – this is about 45 minutes outside of Frederick and that distance was far enough that her rates were well below what photographers closer to DC charged. Look into seeing if a professional who lives outside your city will travel in and if so, will they charge? Our photographer didn’t charge us any extra travel fees, since it really wasn’t that far for her to go. Huge money saver and we got amazing photos that we’ll treasure forever! Pick what’s important and what isn’t. We decided that for us, the three most important things were food, pictures and good music. We focused on making sure we found those and spent as little as possible on the other details. For example, I wasn’t that into the actual wedding dress. Now, I absolutely loved my dress and thought it was perfect. But I wasn’t willing to spend a lot of money on my wedding dress. True fact: I spent less than $300 on my dress + alterations. We put that money that we saved towards our awesome DJ! DYI. I did all our save the dates and invitations myself using Etsy and Kinko’s. It was super easy to find a design online, and then just print whatever we needed. I also did fans, which served as our programs. I am not crafty but it was simple to pick a design and then just go from there. Take things that aren’t super important to you and do them yourself. Don’t take on too much or you’ll make yourself crazy. For example, I was going to do the floral arrangements myself to save money. That would’ve been a disaster. Instead, I found a florist within budget and we have beautiful flowers and it took me no time or energy. Total win! Enlist friends. We were really fortunate to have our friend John do our table numbers for us. He did all the fancy design work and all I had to was print it. If you have friends who are talented and offer up their talents, my advice is to take them up on it! Think about the season. You can save a lot of money just by avoiding a summer wedding. We did actually have a summer wedding but had the cost been too great, we were flexible about moving the wedding to another season. Winter is the cheapest time of year and I’ve been to and seen pictures of so many beautiful winter weddings. Many venues are significantly discounted if you switch from say, June, to January. Definitely something to consider as you are scoping out venues! What are your money saving tips for planning a wedding? Right? OMG – I would’ve gone out of my mind — it was so nice to have friends get married before and learn from them and to be able to pass it on! If I ever get married I would definitely want a summer wedding so we would have to cut costs in other areas. You had a big wedding party! Great pic! I totally agree about picking what’s important and what isn’t! Brandon and I had food, photographer, and music at the top of our list too! I spent $400 on my dress (and it was still under 1K after alterations), and the jeweler Brandon bought my engagement ring and our bands from let me pick out earrings and a bracelet to wear for the wedding day. I didn’t do fancy invitations or table linens or any of that stuff. Yes, I love looking at pictures of fancy weddings, but I’m glad we didn’t go all out. 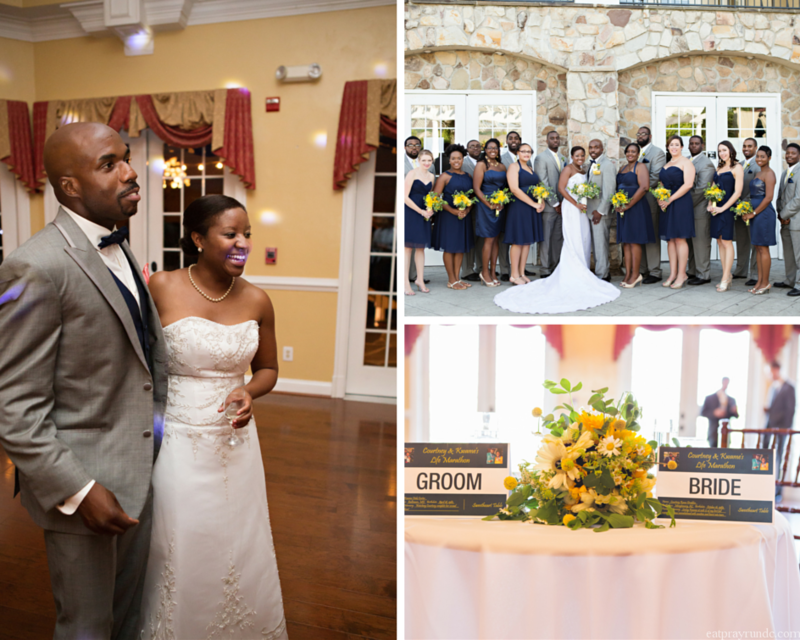 Your wedding was in Frederick–was it at Ceresville Mansion? Photography was one of our top priorities as well, so we were willing to cut the budget on other wedding related costs. I too made our own table numbers. We did simple printed numbers that I framed in silver frames that I bought at Target. Not only was it cost effective, but then I wound up with a bunch of frames after the wedding that I could use to put actual pictures into. Food, photos and music were our priorities As well :). You’re photos are Gorgeous! Such a great post! I just got married in July (just posted about it today, actually) and I couldn’t believe how crazy expensive everything was! You have great tips and I’m sure they will definitely be helping out someone planning a wedding! I loved your tips – we did a lot of DIY, our theme was very rustic and I did the flower arrangements on the day, including my bouquet because we just used Baby Breath, so it was pretty easy to set up ourselves and because I went direct to a flower market so it was cheap! Hello Courtney! 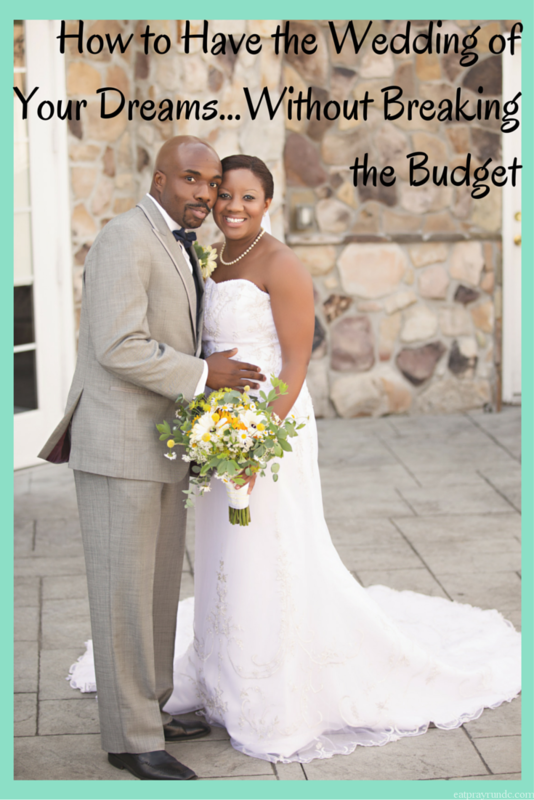 This blog is really great and the tips are very helpful so that we can plan a good wedding in our budget. And I also like your Wedding. Keep sharing such type of blogs. Photographer was at the top of our list and food from our favorite restaurant. We did get flowers, they were beautiful – but kept them minimal due to the outdoor setting. Great tips and great pictures, thanks for sharing! How creative! And I agree, choosing whats most important and whats not can really help you budget your wedding. Its also nice to have friends to help out at weddings. One of my close friends offered to sing and play at our wedding for free which was really nice of him and helped us on our budget. Great tips! I never thought about getting a photographer outside of my city, but sometimes the best bang for your buck is located elsewhere. Thanks for sharing!